Below is a list of practitioners who work at the Hamblin Centre but are independent of The Hamblin Trust. If you wish to book an appointment, please contact them directly. Caroline King is a well- qualified acupuncturist with over 25 years' experience working in a hospital, local surgery, and have taught students to degree level and have been an examiner for the International College of Oriental Medicine. I now practice in my own premises and will do home visits. Traditional acupuncture has a successful 2000-year history and is based on the unique nature and balance of each individual. It is used to treat a wide spectrum of disorders ranging from joint pain to stress related conditions. The Alexander Technique is an effective and empowering approach to healing chronic pain and discomfort, reducing stress and improving performance. In the lessons you discover how your body and mind are designed to work together and learn practical skills to enable you to let go of unnecessary physical and mental tension, feel more in tune with yourself, find greater vitality and confidence, and to feel more comfortable in your own skin. Marcus qualified as an Alexander Technique teacher in 2001 after 3 years (1600 hours) training. He is also a counsellor and body psychotherapist and brings an understanding and sensitivity towards emotional issues to his work. Emotional Therapeutic Counselling is a creative, talk-based therapy which helps you to make sense of and resolve emotions and patterns behind current painful feelings and personal difficulties in order to enable real and lasting changes in yourself, your life and your relationships. If you are at a time of change and personal transformation, a holistic astrological consultation can help to make sense of what is going on in your life. It can throw light on your process, help you to stand back and see things objectively, and introduce a welcome clarity and perspective. Personal consultations in Bosham. Jeanine is an Aura-Soma Colour System consultant and has been working with the Aura-Soma system since 1996. The Equilibrium bottles are the heart of the Aura-Soma system. Their vibrant colours support us towards spiritual wellbeing and self- awareness. The bottles contain the living energies of herbs, essential oils, gems and crystals that are specially colour coded to bring harmony and balance to our aura and energy centres. Jeanine also offers EFT, Swedish Body Massage, Indian Head Massage and Reiki. Ayurvedic Medicine : Dr Sam Watts, D.Ayu,MSc,Cert.Gi,BSc(Hons),PhD. Sam graduated from Southampton University's School of Medicine and currently works at the Complementary and Integrated Medicine Research Unit where his work focuses on improving survivorship within cancer. He subsequently received his clinical training in Ayurvedic medicine which has since become his abiding passion. Ayurvedic Medicine takes a holistic, patient centred and whole person approach to treating illness and disease and focuses on removing the root cause of disease and ill health rather than simply treating its symptoms. Sam currently runs a private Ayurvedic Medicine practice in West Sussex where his focus is on treating chronic lifestyle conditions. He also runs regular workshops and retreats that aim to empower people with tools and techniques that allow them to take positive control of their own health. We aim to provide a safe space conducive to meditation, where we can also discuss, learn, reflect, experience, question and debate Buddhist teachings. We aim to inform and support, not recruit or convert. There is no membership, no sign up. This is an inward journey and you decide how far you go. Ruth is available at the Hamblin Centre on Thursday, Saturdays and Sundays 8am to 6pm, by appointment. Home visits within a 10-mile radius. Clinical Reflexology is a profound therapy individually tailored for the client. Using deep touch on specific areas of the feet or hands to stimulate the body’s inherent healing capability. Ruth is passionate about reflexology and its many benefits, and is deeply committed to helping her clients achieve optimum health. Ruth has 30 years’ experience in the NHS as a cardiac physiologist. She obtained a Level 5 diploma in Clinical Reflexology from The Reflexology Academy, London, the highest qualification currently available in reflexology, specifically designed for health professionals. She is fully DBS-checked. Tracey specialises in coaching individuals and teams in emotional intelligence, diversity and creativity. Following a successful career in leadership roles within sales and marketing Tracey has a wealth of experience working across a diverse range of roles and sectors with managers and individuals at all levels. Tracey is a creative thinker that is able to take a holistic view to help clients formulate clear strategies and execute plans that achieve results. Counselling and Health Coaching integrated with EFT and mindful embodied awareness and self-compassion. Kathy has a passion for bringing together different approaches that make effective, long lasting, gentle changes in mind-body experience. The roots of most of our physical and emotional suffering are stored in the cells of our body creating thoughts, feelings and stress in our nervous system. Thoughts and feelings are by-products of cellular memories and conditioning. Much of this is caused by our life experiences and the beliefs that arise from them. These stop our core energy from flowing and result in difficulties physically and emotionally. Talk therapies alone cannot release these destructive cellular memories as they are encoded in the body as well as the mind. My integrated approach can lead to emotional balance, resilience and more physical wellbeing. Louise is a registered Craniosacral Therapist and a licensed member of the UK Craniosacral Therapy Association. Craniosacral Therapy is a gentle, safe and relaxing treatment which can help you regain your physical and mental balance. This mindful therapy can help with both physical and emotional difficulties, such as recovery after injury and surgery and also with stress symptoms such as headaches, emotional overwhelm and insomnia. Louise is additionally qualified for working with Pregnant Women, Mothers and Babies and with Post-Traumatic Stress Disorder. Appointments available at convenient times at the Hamblin Centre in Bosham and at her home-based clinic in Rowlands Castle. Hamsa (means 'swan' and symbolises the soul) Yoga and Meditation classes are suitable for all ages and levels of experience. These classes include postures, breathing techniques, meditation and relaxation, all of which are methods to help relax and rejuvenate the individual in and amongst today's fast and furious pace of living. Regular classes on Thursday and Saturday mornings in Chichester and the Hamblin Centre, Bosham. Workshops, retreats and events throughout the year (please check website). Joanne has been learning and exploring various modalities of complimentary medicine for almost 30 years. She is a qualified Kinesiologist, Nutritionist and Doula. As well as the wide range of techniques used that redress functional imbalances nutritionally, emotionally, structurally or chemically; she might include homeopathy, aromatherapy oils, tissue salts, herbal support or flower remedies where relevant. Through Kinesiology, the biofeedback mechanisms of the body confirms all investigations along the way. This umbrella of functional medicine is also known as Neural Integration. Throughout a session, Joanne aims to bring a deeper awareness to her clients as to how and why they are feeling their symptoms, to better understand and maintain their own integral health better when treatments are no longer required. Coupled with Kinesiology, it makes for a profound, accurate and fast-acting modality. Three appointments is typical for a presenting symptom. Jo also offers a ten-day seasonal detox, which aim to reduce our toxic load and therefore support our immune systems. Clinical consultations are available privately in central Chichester or at the Littlehampton Natural Health Centre, the Hamblin Centre or Chichester Chiropractic Clinic. 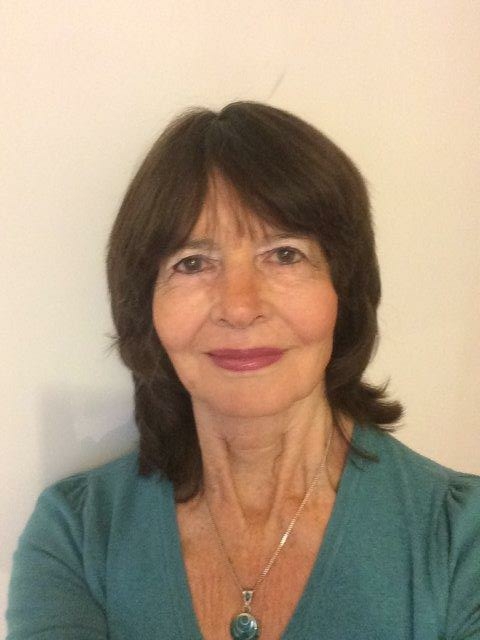 Clare Gale is a well qualified Natural Health Practitioner with more than 30 years’ experience working with the Asyra Pro health analysis computer, which can identify imbalances in the body. A personalised treatment plan is discussed and written, giving full details of areas of concern. When treated with changes of diet, correct supplementation and/or homeopathic remedies, optimal health can be achieved. With approximately 96% success rate, better health and relief from your symptoms can be gained. Designed and co-created by Lyn and Graham, the Neutral Space Relaxation work has evolved from a combination of their existing work, and many years of experience as bodywork Practitioners over 15 years. The Neutral Space Relaxation involves gentle body rocking movements, and connections. The sessions are fully clothed, on a massage couch and are suitable for those who may be experiencing high stress levels. The sessions assist in bringing about balance of the body and mind, allowing a feeling of calm and clarity to exist and enabling clearer thinking, and better quality decision making. Caroline offers Reiki healing sessions called “Reiki with flowers” - a combination of Reiki healing and organic flower essence creams with essential oils Caroline makes herself. The creams enhance the healing experience and when taken away and applied after the Reiki healing help to bring the client back to that wonderful feeling of peace experienced during the session and support the continuation of the healing in the days and weeks to come. The luxurious creams are suitable for vegans. Reiki sessions can be booked at the Hamblin Centre and Caroline can also come to your home. She lives in Chichester and is happy to travel a 10-mile radius from Chichester. All enquiries welcome by phone or email. 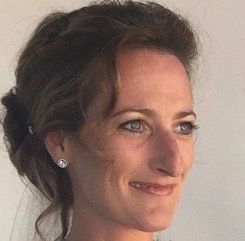 Georgie Crossman is a highly qualified ITEC Holistic Massage Therapist with over 15 years of experience and recognised as a leading expert within her field, specialising in Sports and Remedial Massage. Georgie also practices Holistic Swedish massage, Indian head massage, hot stones and Thermal Aricular Therapy (also known as 'Hopi Candles'). Clients range from celebrity sports personalities, athletes, full-time mums and individuals recovering from operations, rehabilitation, chronic back/neck ache and aiding general health and well-being. Remedial massage is one of the most effective ways to prevent and treat muscular aches and pains and to recreate a balance within the body. It is also beneficial for those suffering from occupational or posture related pain. Georgie is well respected within her field and incredibly passionate and knowledgeable about what she does and gets great satisfaction in helping her clients get back to a healthy state of mind and fitness. She is a member of the Federation of Holistic Therapists. Contact Georgie, the leading expert in massage and now based in West Sussex, to book an appointment. Derek is an experienced and highly qualified Tai Chi teacher. Tai Chi Chuan is a most profound form of martial art, which develops the internal strength, ‘Chi’. Training involves using the empty hand sequence to teach students how to use their body correctly, improve posture and coordination and allow the body to function properly. This builds self-confidence, embraces health, helps to prevent illness, speeds healing and delays ageing. Tai Chi classes, suitable for all levels, held in the restorative surroundings of Hamblin Hall. The class works with breath observations, functional movements and functional Yoga postures with the intention of helping students find freedom of movement and improved well being in everyday life. The postures and movements associated with the postures flow together and are approached and repeated in different ways. This gives students time to deepen their awareness/feelings of their movement patterns, to feel the intrinsic nature of their breath and to feel the affects of connecting to the ground. Susan is an experienced British Wheel of Yoga diploma teacher.Susan Tuff is an experienced British Wheel of Yoga Qualified Teacher. HELP YOURSELF TO KEEP A HEALTHY MIND AND HEALTHY BODY. Monday 10.30 am, Thursday 9am and Friday 11.00 am, Beginners welcome. All classes will include relaxation, breathing practices, stretching and mobilisation through posture work. Please note, you do not have to be flexible or able to perform miracles with your body. The aim of my class is to increase body, postural awareness and flexibility as well as helping to reduce stress in this increasingly busy world we live in. Classes also in Chichester and the surrounding area. One-to-one sessions also available, which include a personally structured practice to help specific needs. The Hamblin Trust are unable to endorse any particular teacher, practitioner or therapist. This is a matter for each individual to assess and take further if they wish.